Andi Bosshart is responsible for the development, implementation and oversight of the Compliance and Privacy programs for all Community Health Systems affiliates. She has worked in the healthcare industry for more than 20 years. 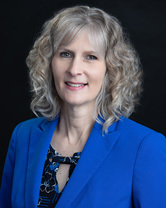 During her tenure with CHS, Bosshart has also been responsible for the corporate Health Information Management department, data and billing quality, contract approval management, and charge master maintenance and standardization. Bosshart is a graduate of Saint Louis University in St. Louis, Missouri. She is a Registered Health Information Administrator (RHIA) and is certified in Healthcare Compliance (CHC). She holds professional affiliations in AHIMA, Tennessee HIMA and the Health Care Compliance Associations.